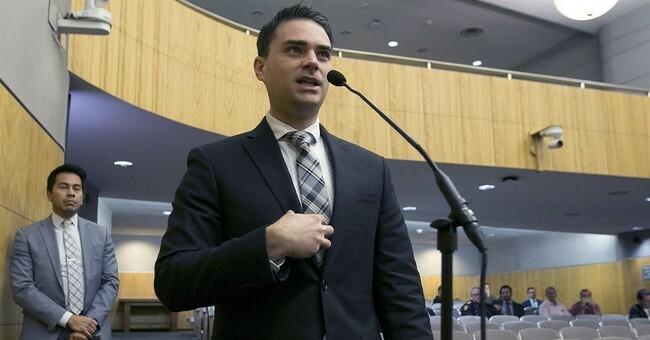 On Thursday, members of Grand Canyon University's Young Americans for Freedom chapter were told that they would not be able to host conservative pundit Ben Shapiro on campus. The GCU administrators told the students that Shapiro was just too “cut throat” and divisive, according to YAF. Additionally, they reasoned that a Shapiro appearance would not be good for the school long-term, hoping to maintain its culture of unity, love, and respect. Shapiro has faced intolerance at campuses all across the country. When he arrived to speak at UC Berkeley in September 2017, he was met with hundreds of angry protesters. Nine people were arrested and a few of them were even brandishing weapons. Police had to wear riot gear. Thanks to all the heightened security demands, the whole affair cost $600,000. Some of the protesters outside the venue were chanting about how Shapiro was a "fascist," which highly amused the speaker. At least Shapiro was allowed to show up. Months earlier Berkeley cancelled an event with conservative speaker Milo Yiannopoulos, again citing security issues.